upload the files ahead of time on a private FTP or HTTP server and put just the link in the email. Owning an FTP server is a big hassle for home users due to the IP infrastructure and firewall configuration issues. 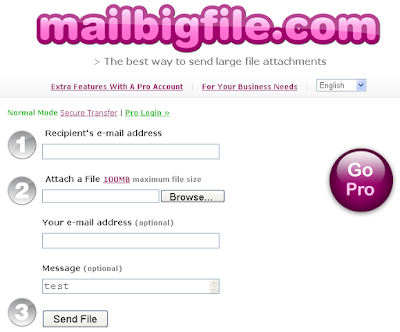 use a specialized service to send big email attachments. All of the following services can be used without registration. Just select the files you want to send and specify sender's address. The bad part is that the recipient has to go to a page full of advertisements in order to retrieve his files. Only localhostr gives you the direct download link but the service is limited to 50MB / file.